This newly built 2278 Sq. 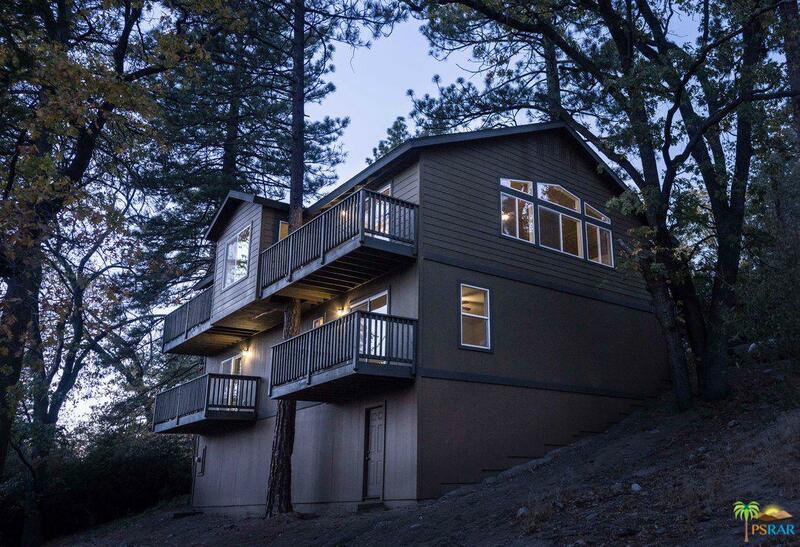 Ft. home is a rare find in Idyllwild! The dramatic entry has beautiful tongue and groove vaulted ceilings that showcase modern fans and light fixtures. The kitchen has gorgeous dual-color maple cabinets with soft-close, local saw-milled shelves and high-end, black stainless appliances that are all energy star rated. 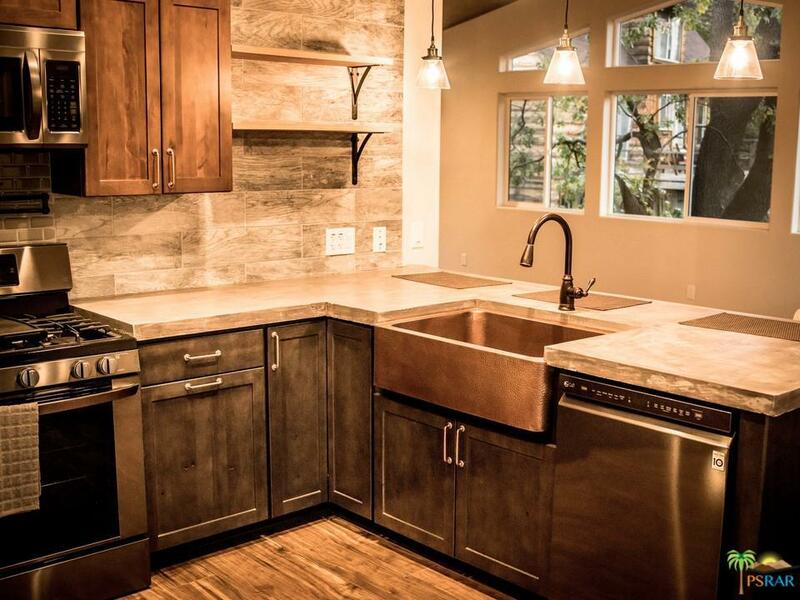 The kitchen also features cast in place concrete counters, full tile back-splash, a pasta pot-filler, a hammered copper sink and coffered ceiling. The upper level also has a very large, tranquil master suite which has built-in sconce lights, a ship-lap wall, spectacular views of the forest and a private deck. This beautiful en-suite includes a Jacuzzi tub, large shower, double vanity with vessel sinks, powder room and large walk-in closet. 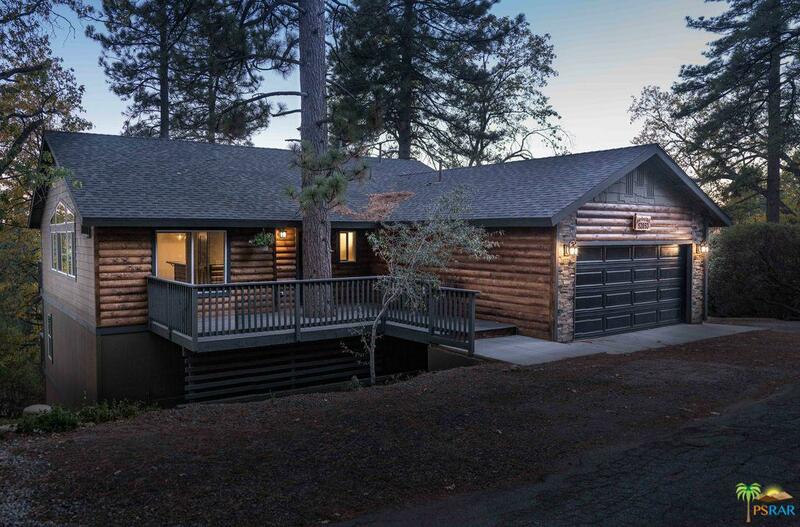 The upper-level also has a laundry room and 3/4 bath with local sawmill cedar log counters and access to two-car garage. Downstairs has additional full bath and two large bedrooms. 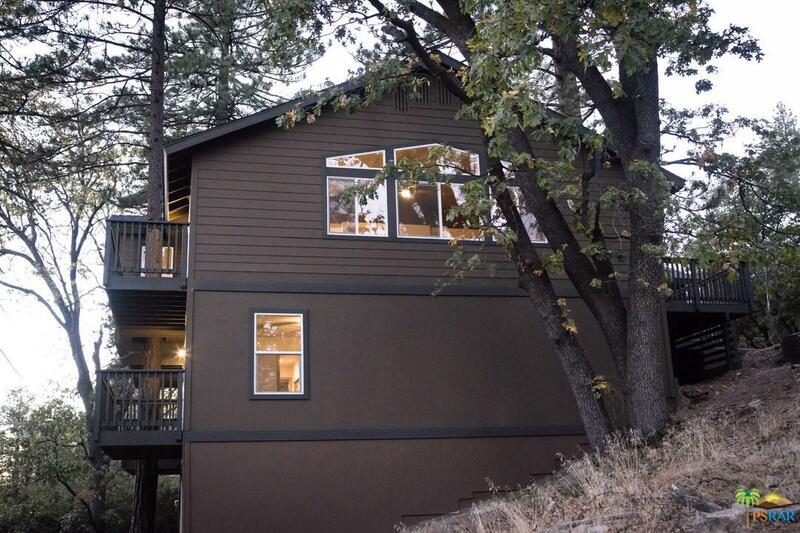 Listing provided courtesy of Meagan Greene DRE#02042321 of Town Real Estate - Idyllwild.